A biopic is currently in development for Hattie McDaniel, who played “Mammy” in Gone With the Wind and was the first black person to receive an Academy Award in 1939. 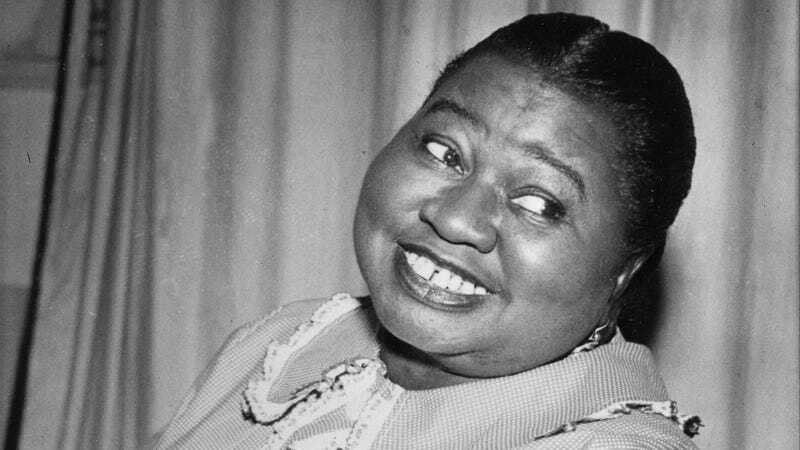 Variety reports that the biopic will be produced by Aaron Magnani and Alysia Allen, who obtained the rights to the biography Hattie McDaniel: Black Ambition, White Hollywood written by Jill Watts. Magnani’s producer credits include 2017's The Last Word while Allen is reported as working on a feature film Away From The Bridge with actress and director Keesha Sharp. She also founded Mocha Girls Read, a book club for black women taking place in several cities. McDaniel was the daughter of freed slaves and started out as a vaudeville performer. In addition to her role as “Mammy,” McDaniel frequently took roles as maids or cooks in films, which was criticized by civil rights groups and even the NAACP as perpetuating black stereotypes in film. In response McDaniel is famously quoted as saying, “I’d rather play a maid and make $700 a week than be a maid and make $7.” It would be several decades after McDaniel’s win before another black actor won an Oscar, with Sidney Poitier winning Lilies in the Field in 1964. In 2010 Mo’Nique, who won an Oscar that year for her performance in Precious and thanked McDaniel in her speech, said that she owned the rights to McDaniel’s story and wanted to star in the biopic. She then told Interview Magazine in 2015 that she was dropping the project because she felt that Hattie’s story had already been told. “How many times can you tell a story about a black woman who was underpaid, overused, abused in ways that’s unexplainable, and then we die broke and alone?” she said.